This brings us to the latest Horror of the moment…Hereditary. 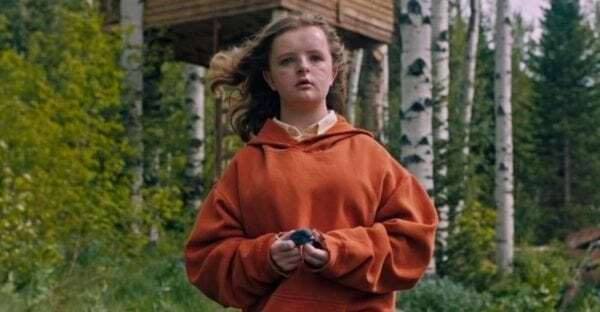 Coming off the back of rave critical reviews and largely positive audience reactions, Hereditary was strongly marketed as this generations The Exorcist. There are problems I have with the films marketing, which I’ll address before getting into the potential legacy this picture could have down the line. Look, Hereditary is a great film. It’s also been slightly mismarketed. So I appreciate that in some corners of the cinema audience, it’s not scoring highly. There’s an expectation perhaps for a jump scare a minute, ‘creepy kid’ horror film. Comparisons to iconic films from American Horror’s golden period are also a little counter-productive. There’s a danger of overselling. They’ve taken the approach of selling for a good opening weekend, as opposed to more considered marketing, then allowing the word of mouth on the quality of the product to sustain a good run. Once you see the film you’ll realise what I mean. In addition, the trailers in retrospect, spoil certain choice moments. This is just a modern marketing issue with cinema. Trailers are spoiling too much. Speaking of spoilers…minor ones to follow. My initial reaction walking out of Hereditary was, like many I suspect, largely influenced by the last 10 minutes. There’s a reveal as everything becomes apparent, and it’s a rug puller. Some will absolutely hate it. At first I was sort of in that shell-shocked, ‘really?? Seriously? ?’ camp, but it’s growing on me. Why? This is the important part. The film doesn’t pull this from nowhere. It’s weaved intricately into the film from minute one onward. From the opening shot. Every seemingly odd moment or choice, or seemingly throwaway line has some resonance to the final moments. It’s a film that deals with the meaning of the title for one, and all the dynamics of that. It philosophically questions life beyond this, spiritualism and the power of subconscious. In addition, the slightly batshit crazy finale of the piece, where things just descend into insanity may seem decidedly silly at first glance but upon evaluation they fit, and I thought back to The Shining. Lets face it, that film builds to a point then goes bonkers (the guy in the room frolicking with a man in a bear suit…I mean come on!). 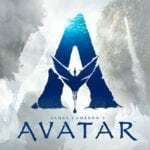 The intricate nature of the script and careful consideration, as well as the depth of the mythology depicted in the film, means this will have a lot of repeat value. It will inspire rewatching and reconsideration. It will inspire study and analysis (YouTube is already chock full of explanation videos). Whilst comparisons to Rosemary’s Baby, The Shining (there are direct visual odes to the film) and The Omen are apt, this one actually brought to mind Donnie Darko for me. In as much as the mythology used within the film inspires outside reading. If you recall the ideas behind the timeline theory in Darko, it’s a complex idea which even had supplementary online material made available (as well as a directors cut which explained things a little more throughout the film than the theatrical version). It’s just that level of thought that goes well beyond a 120 page script. It’s injected into the film and allows for analysis. It’s why we remember an odd indie film like Donnie Darko, 17 years later. I suspect we will also remember Hereditary. Putting the horror aside, the depth of the mythology, the world building, the relentlessly uneasy atmosphere, there’s an anchor in the film which makes this potentially iconic. That is Toni Collette. Her performance is nothing short of astonishing. You might as well carve her name in next years Best Actress Oscar already. If anyone else wins it, they’ve either done something nigh on impossibly magnificent, or there has been a tragic injustice with the voting Academy. Collette’s a great actress. She’s produced sensational work over the years, but what she does here is gut-wrenching. One dinner time meltdown scene alone will turn the hairs on the back of your neck up even more than any of the scares. It’s truly one of the most exquisite moments of acting for decades. If you can ever win an Oscar for a scene. That would be the scene she wins it for. Time will tell but with its series of jaw droppingly shocking moments, expert tension cranking and fantastic performances, Hereditary should leave a lasting horror legacy, just as long as they don’t spoil it with a sequel.